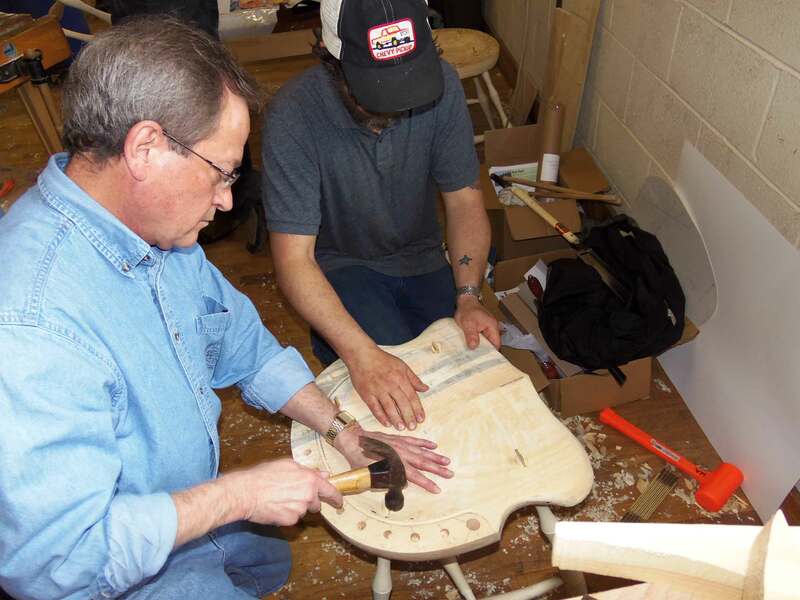 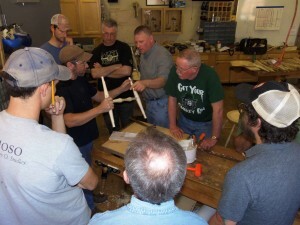 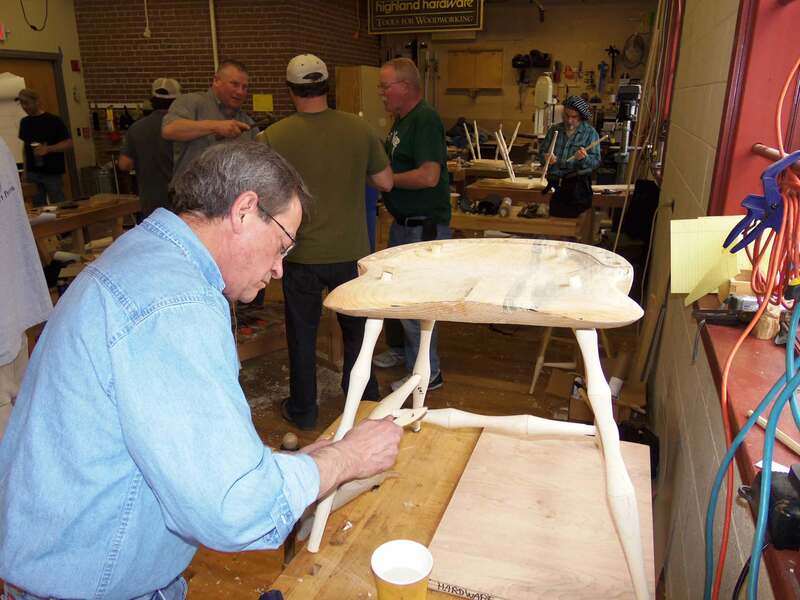 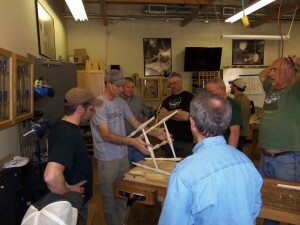 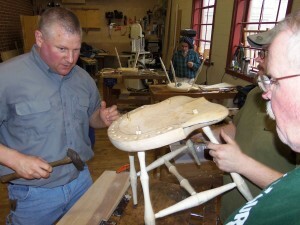 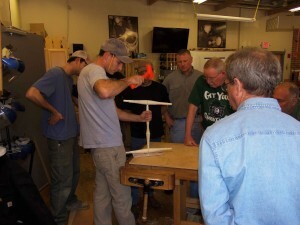 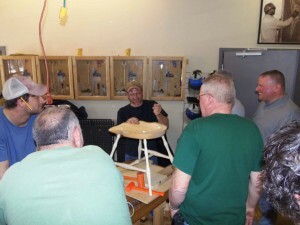 Over the past week, several woodworkers have come together in our Highland Woodworking classroom to build a continuous arm windsor chair with master chairmaker, Peter Galbert. 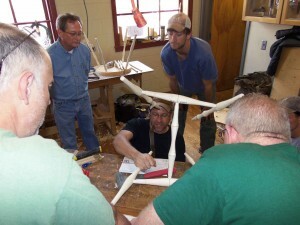 We have been keeping track of their progress each day, which you can see below! DAY 5: The stretchers for the legs are aligned and glued to the center stretcher. 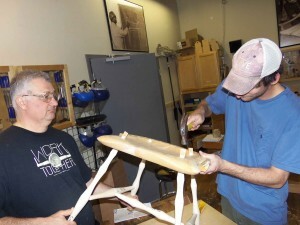 The stretcher assembly is then aligned and glued to just two legs, and then to the final two legs. The entire leg assembly is removed from the seat one last time to make a saw kerf in the tenon of the top of each leg. 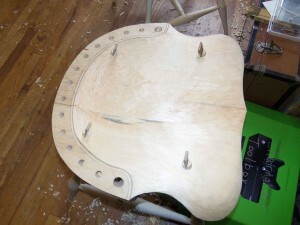 The legs will be inserted back into the seat and the wedges glued in to pin the legs to the seat bottom.